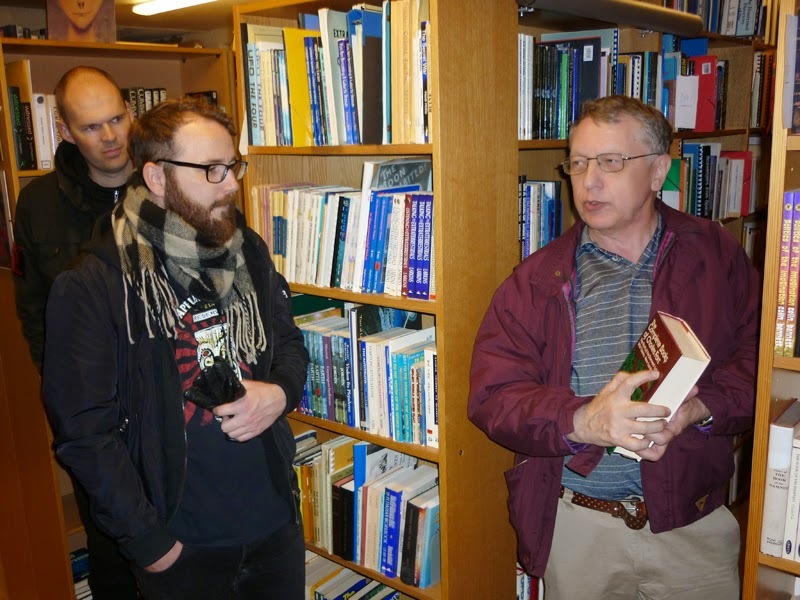 This week we had the pleasure of having Bob Rickard as a guest at AFU. 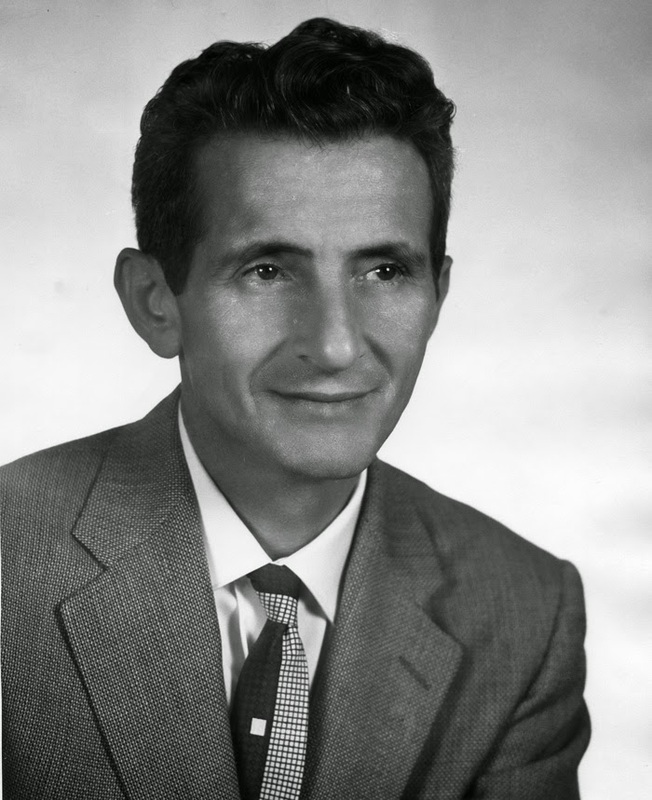 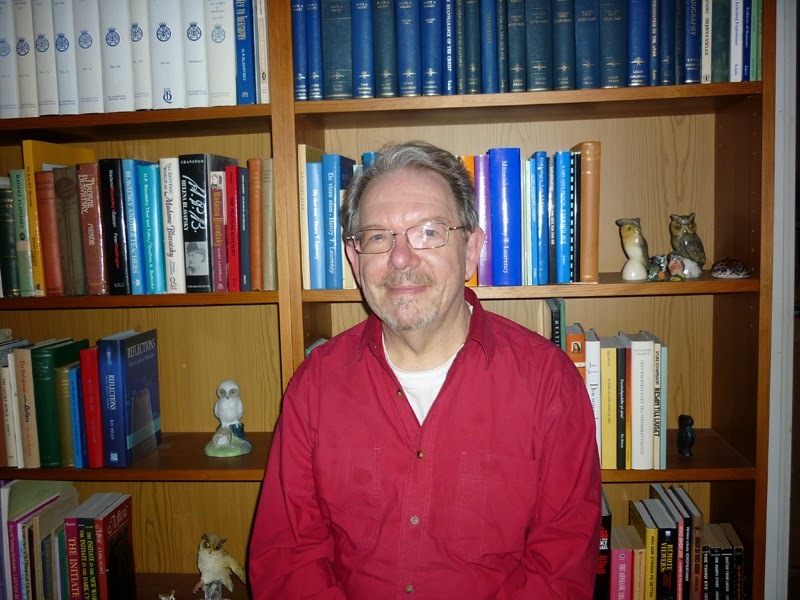 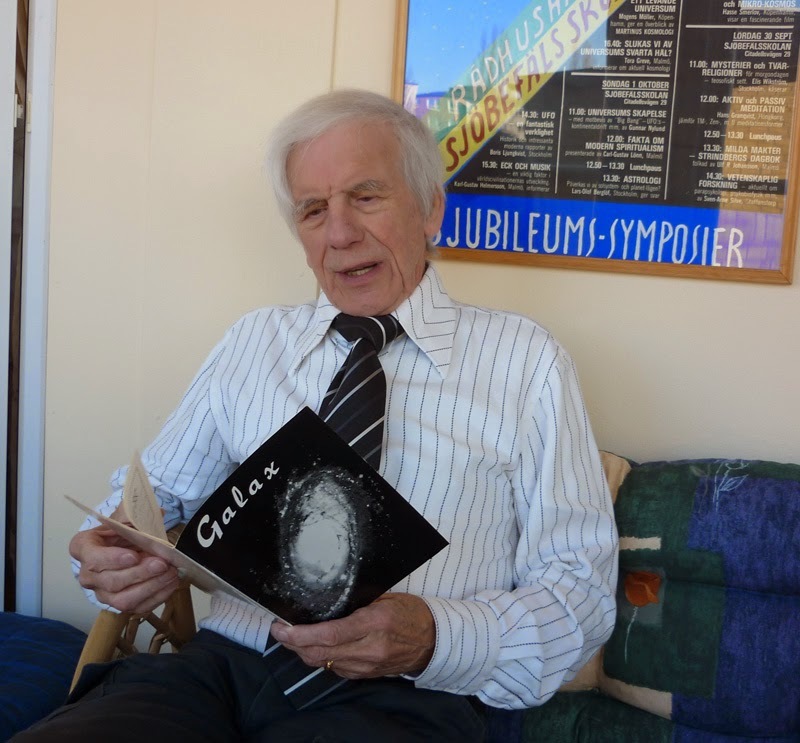 He is one of our foremost donors of books, magazines and clippings on UFO and Fortean subjects. 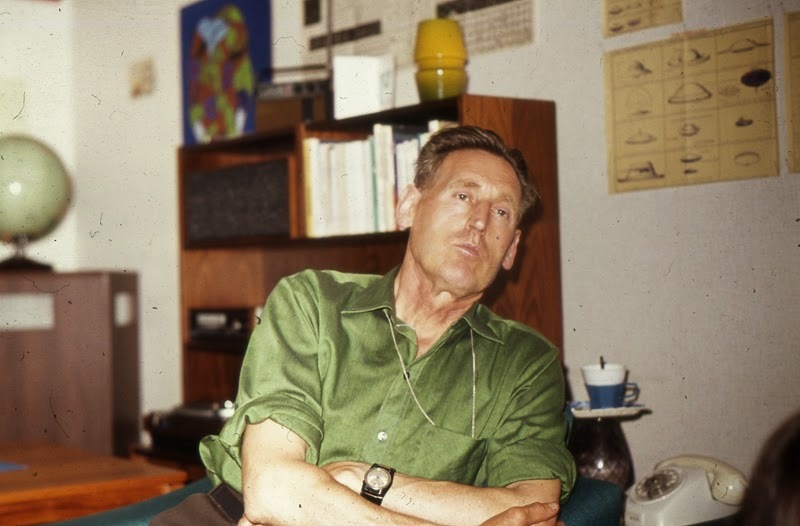 With his typical Fortean humour Bob has found an appropiate name for Clas Svahn and his UFO-Sweden collegues who every year "pester" British organizations and authors with requests for donations to AFU - The Viking Raiders! 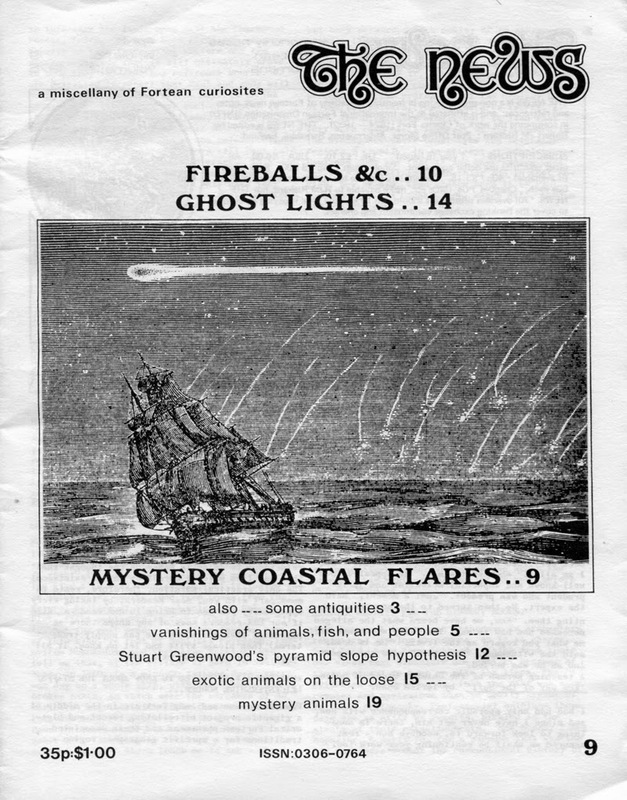 Bob Rickard is perhaps best known as the founder and editor of the magazine Fortean Times, formerly The News and The Charles Fort Institute. 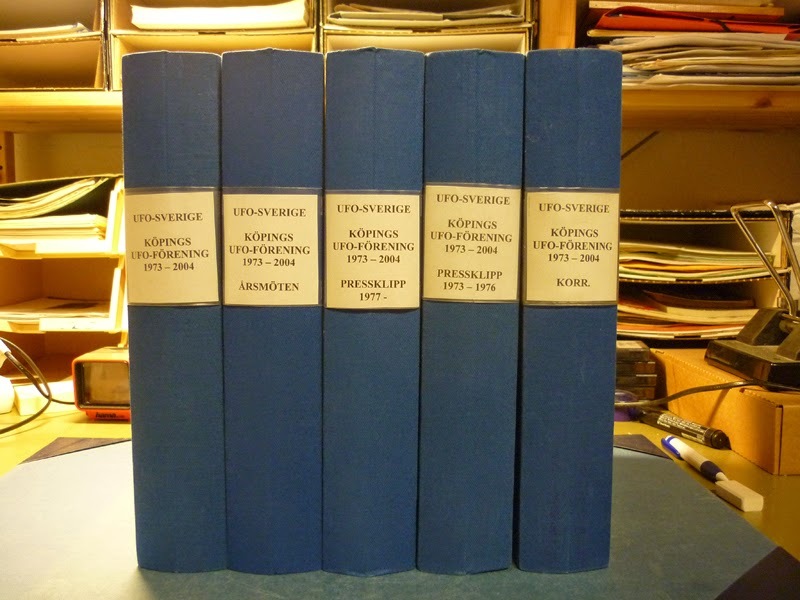 Many books and articles have come from his pen and I still remember my fascination, in the 1970s, when reading his classic Phenomena. 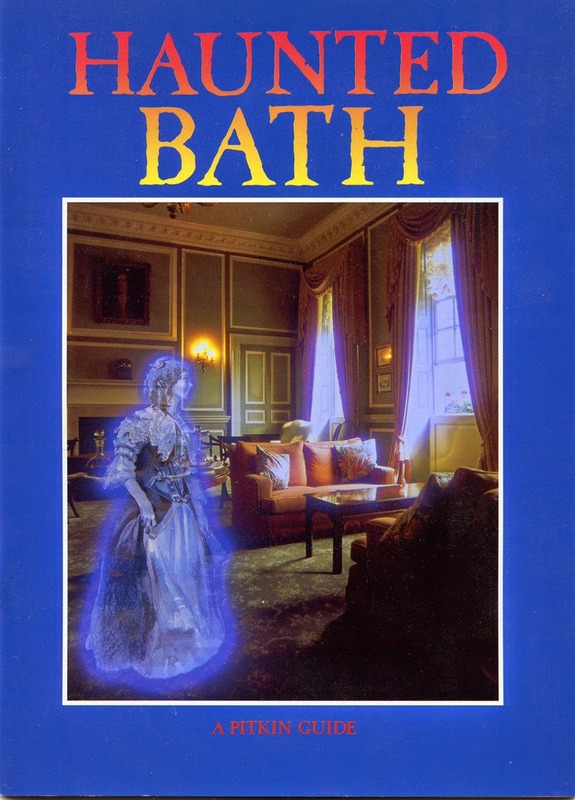 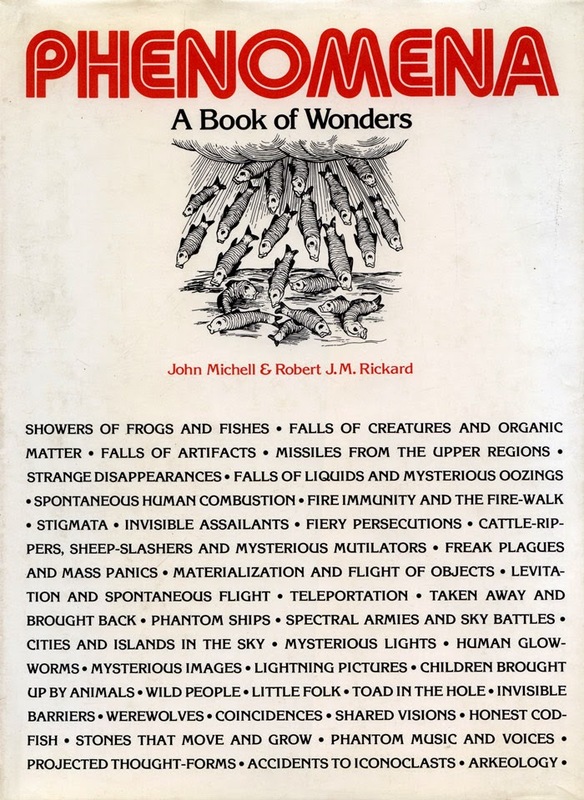 A Book of Wonders, written together with John Michell. 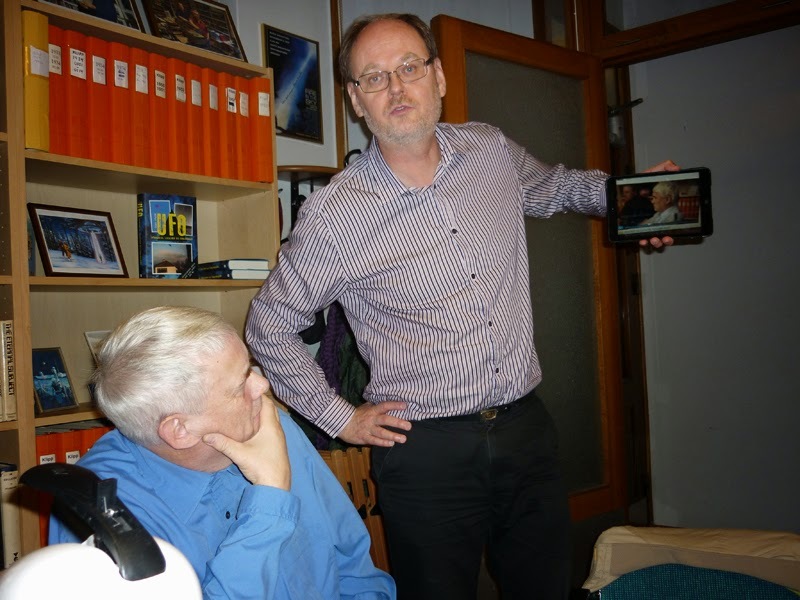 Bob stayed four days at AFU, studying our collections, especially to search for data on levitation and Japanese folklore on alien visitors. Thursday evening we had dinner and a pleasant chat at a Chinese restaurant in Norrköping. Bob tried his best to order his dinner in Chinese, only to find out that the waitress didn´t speak the language!! But we had a great time and hope to meet our Fortean friend again soon. 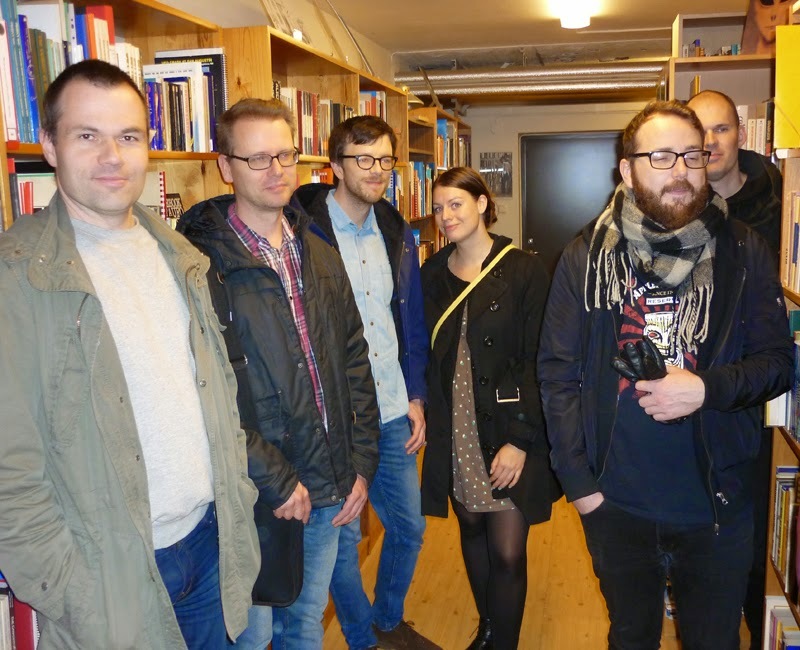 Saturday, November 15, the UFO-Sweden board meeting was held at AFU. 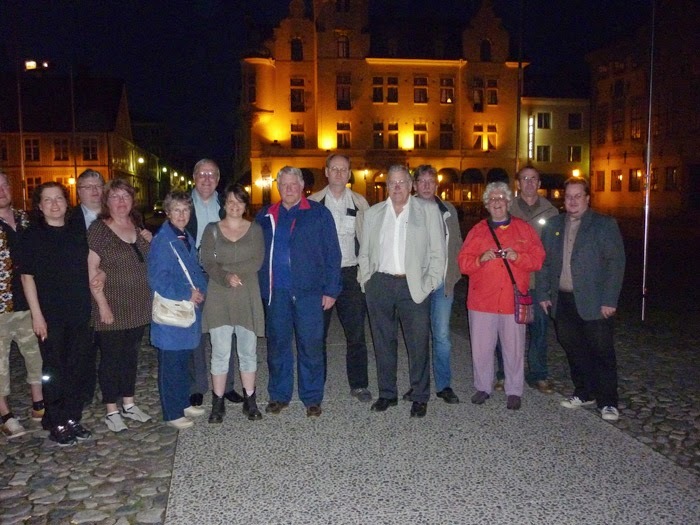 Eleven members of the board discussed plans and projects for the coming year. 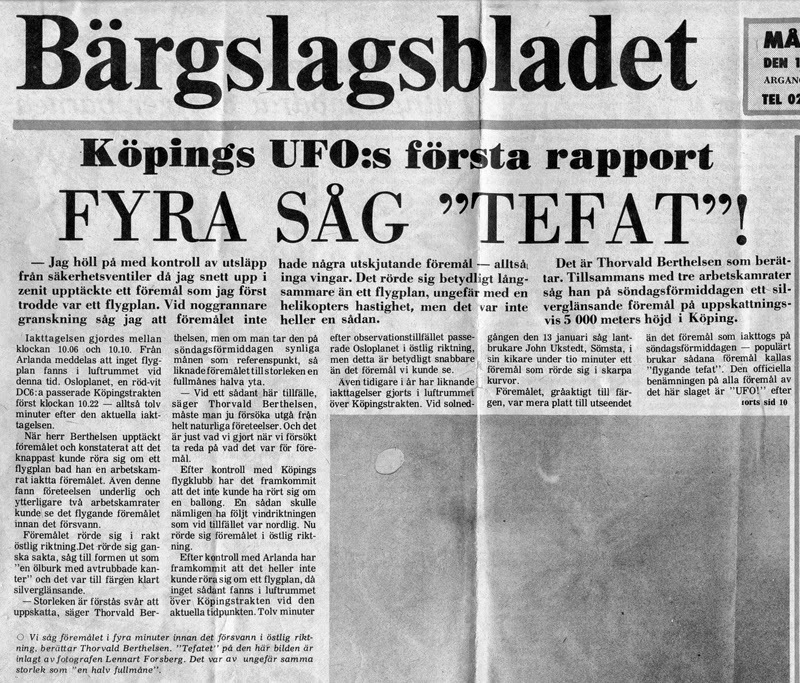 2015 will probably result in much media exposure as a result of a one-hour documentary on UFO-Sweden and the Ghost Rockets planned for viewing on Swedish, Norwegian and Danisk televison during next year. 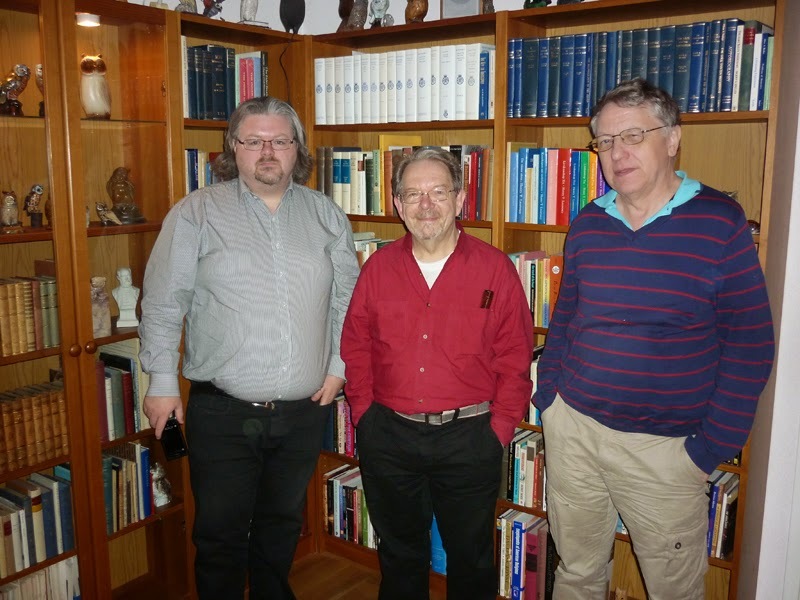 A large-scale field investigation project in Södermanland is also planned for the summer of 2015. 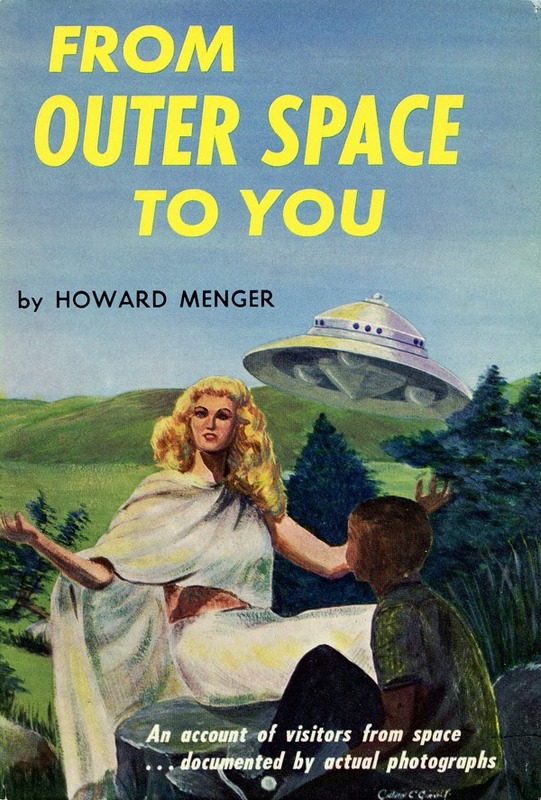 The lack of active female ufologists has often been discussed in our organization. 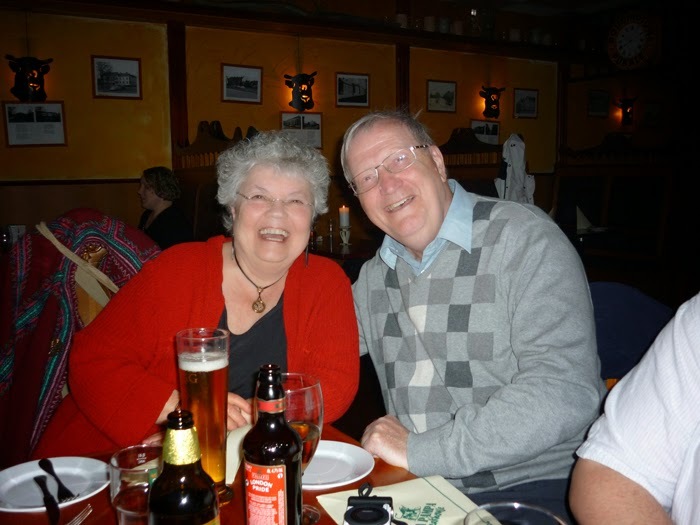 But now we are happy to welcome Jennie Backman as a new member of the board. 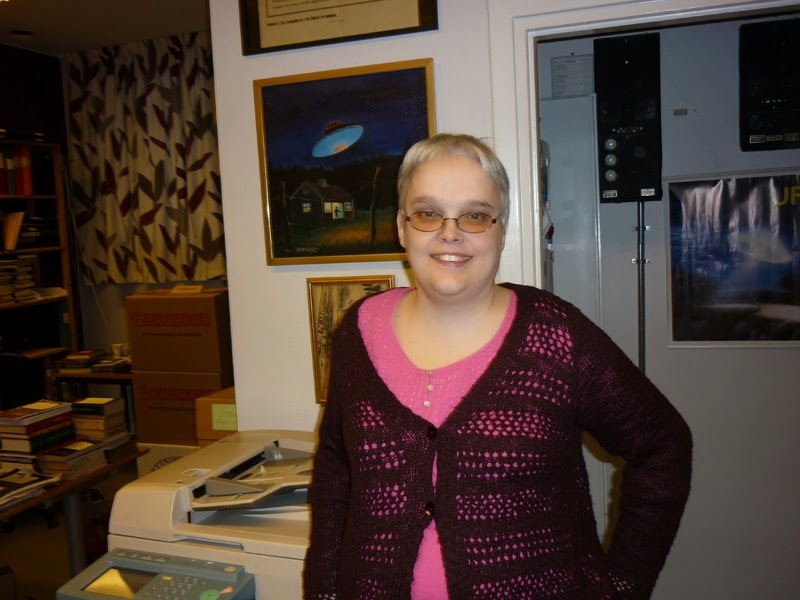 Amanda Fredriksson is already a member of the board since 2009. 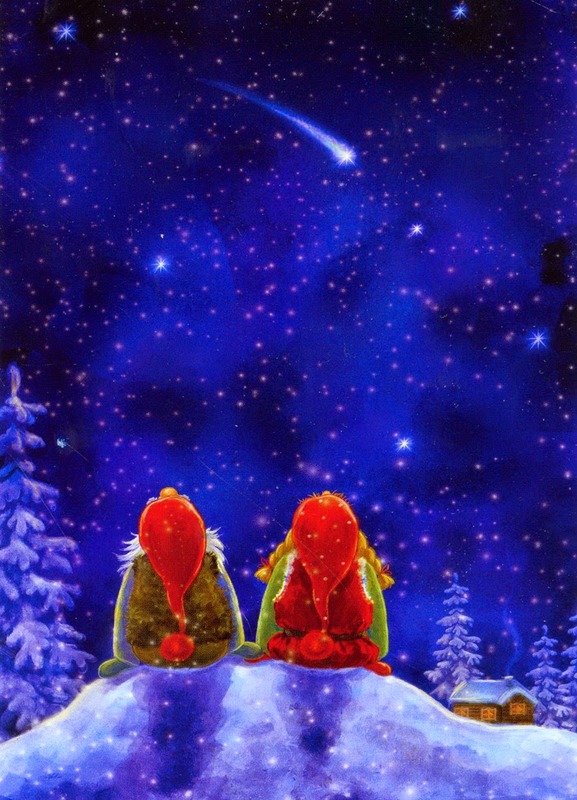 We hope for more gender equality in the future. 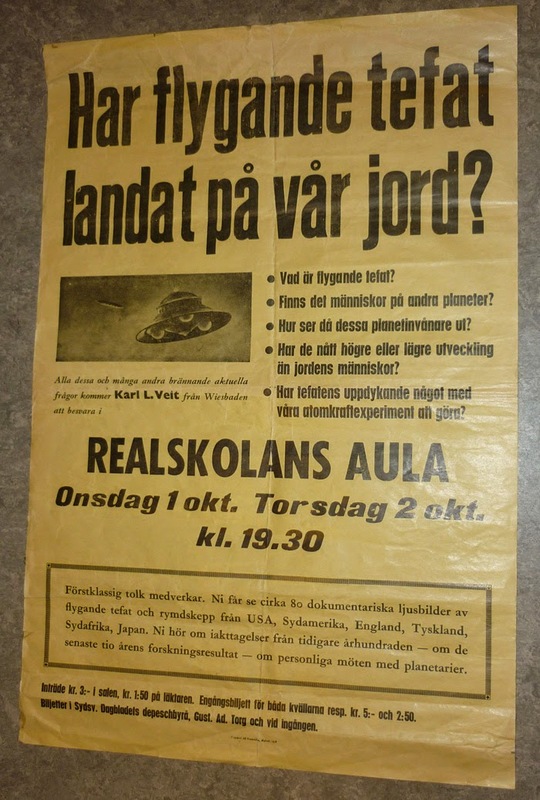 Finally I must mention a fascinating historical document found by Clas Svahn and me among donated archival material. 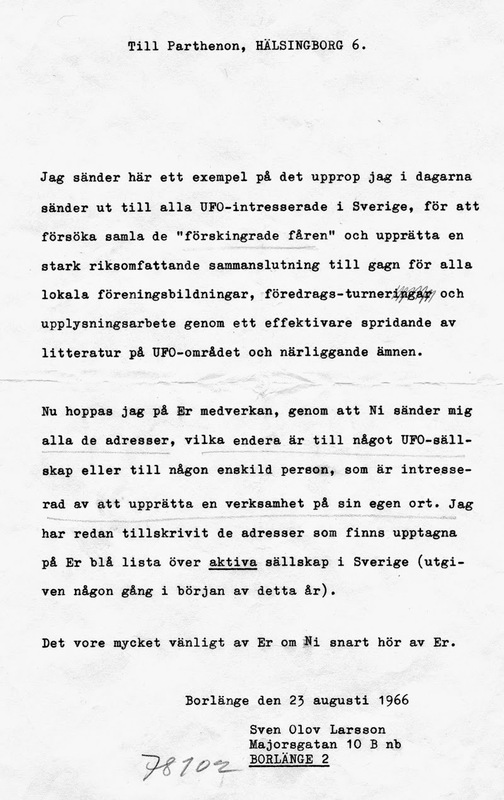 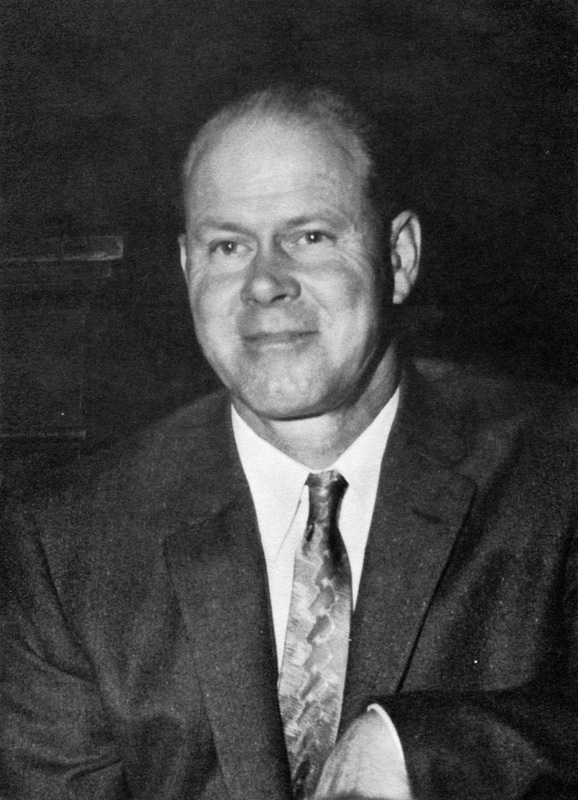 On August 23, 1966 Swedish ufologist Sven Olov Larsson, from Borlänge, distributed an appeal to form a national UFO organization in Sweden. 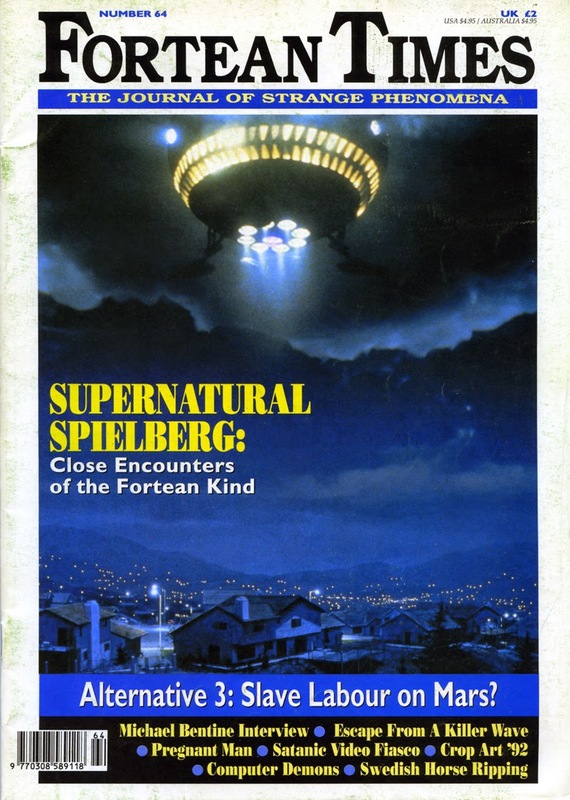 This appeal was sent to the seven or eight UFO groups existing at the time. 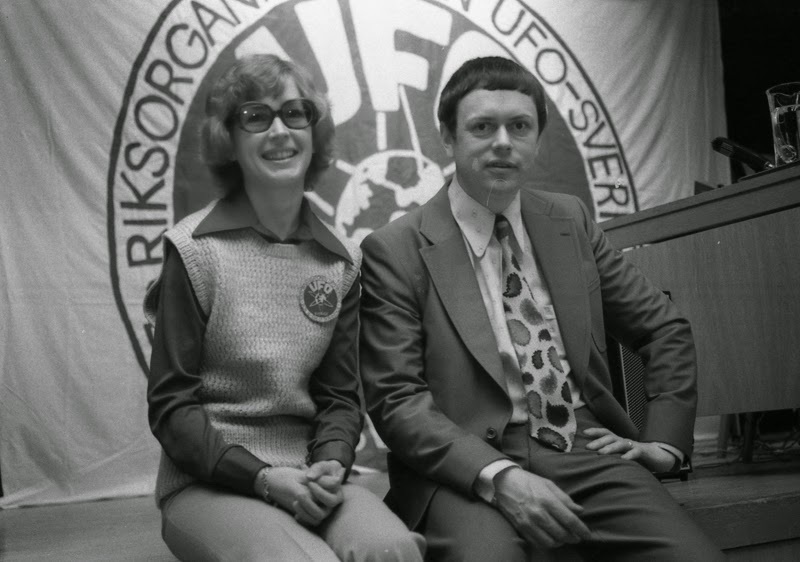 As far as we know this was the first attemp to form a national UFO organization in Sweden. 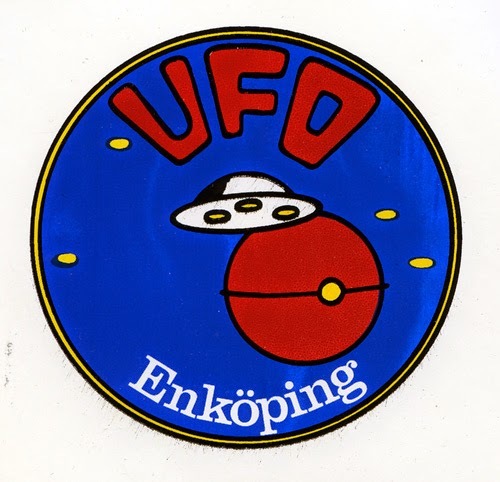 UFO-Sweden was founded in 1970. 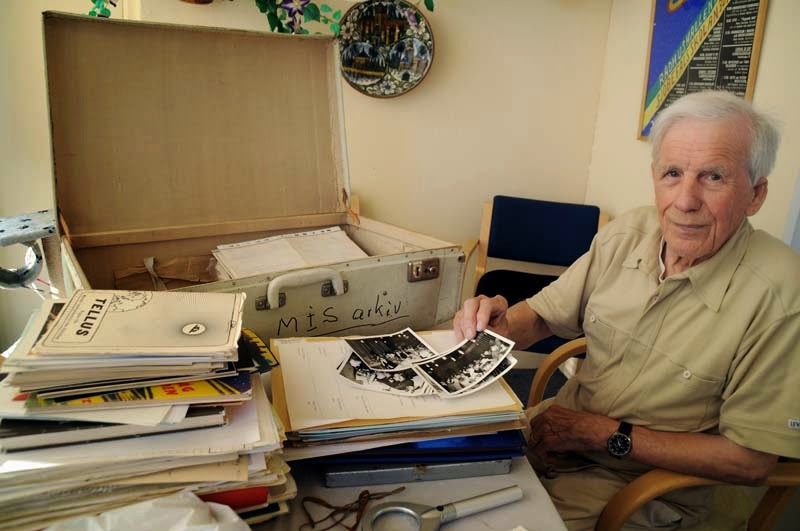 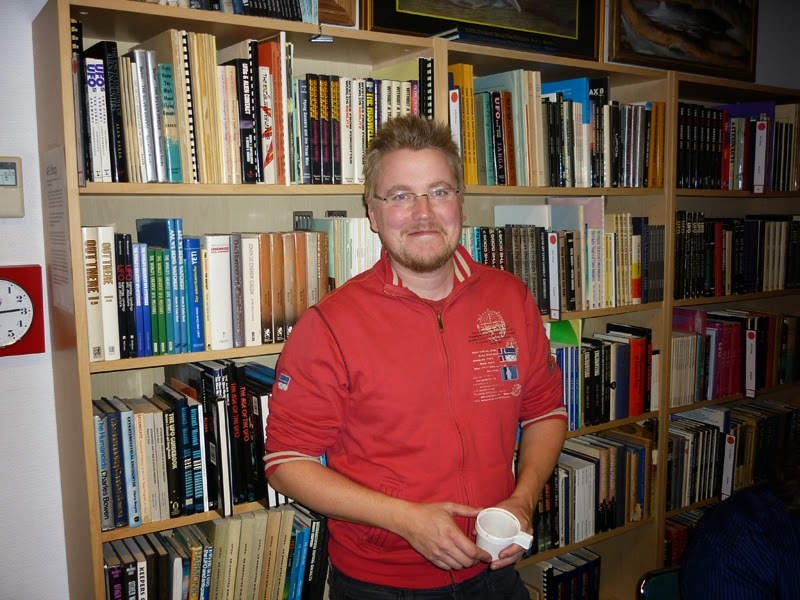 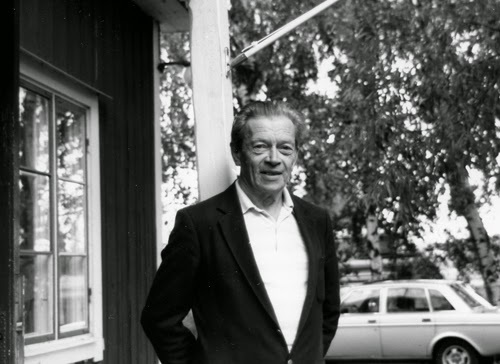 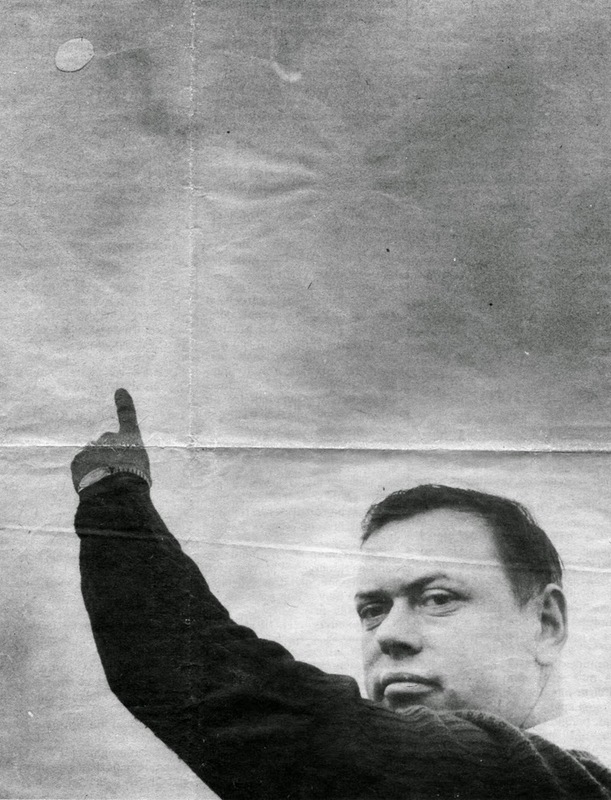 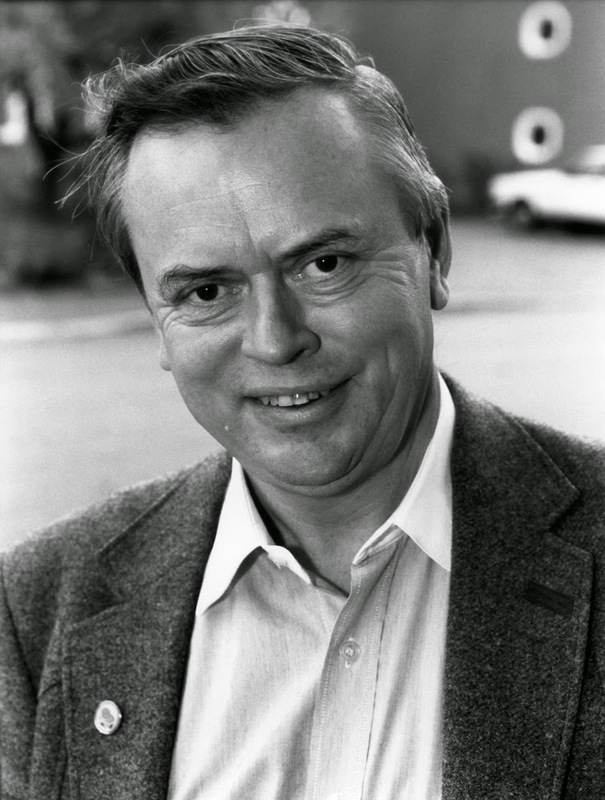 Sven Olov Larsson was an avid collector of UFO books and magazines. 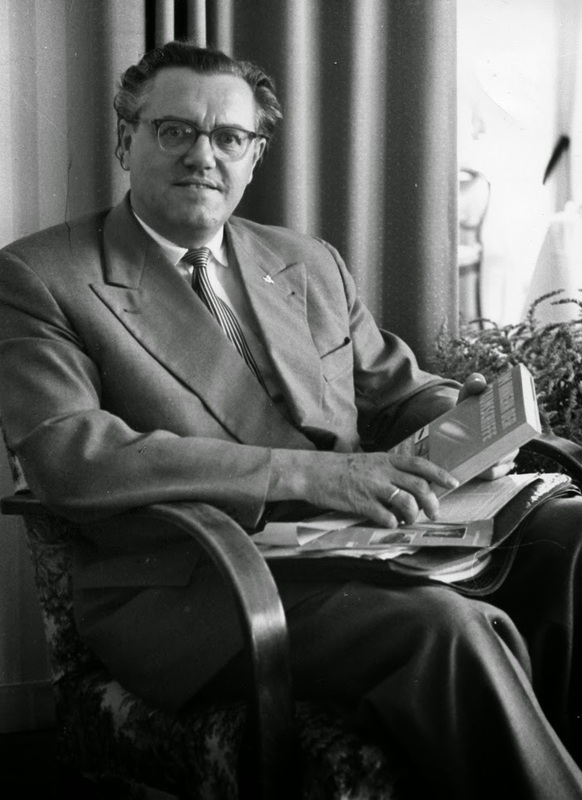 Unfortuntely his relatives threw away all his files when he died, including a volumious correspondence. 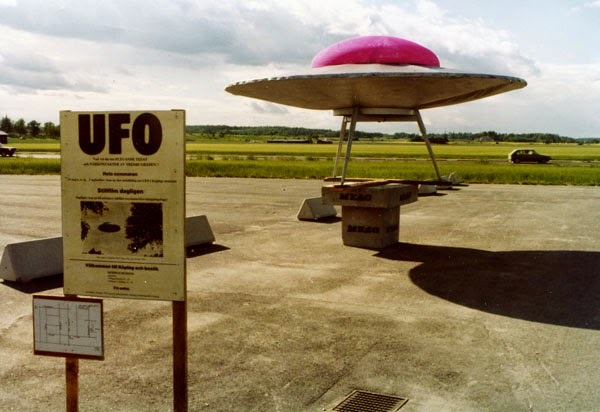 One of the important UFO collections that AFU was too late in saving. 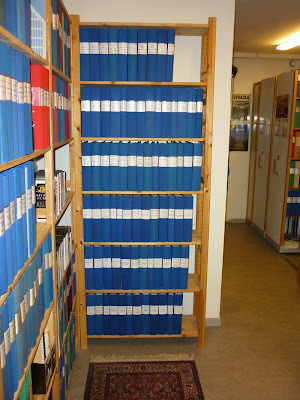 A reminder to all involved in UFO and Fortean subjects to remember Archives for the Unexplained as a custodian of historical documents when discussing what to do with old collections. 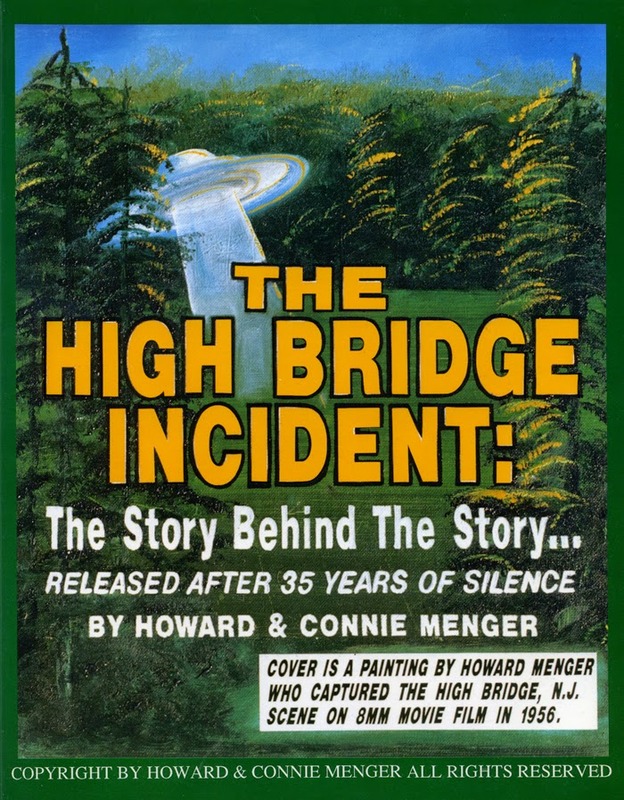 From a larger cultural perspective the impact of the UFO phenomenon on society after the Second World War has been tremendous. 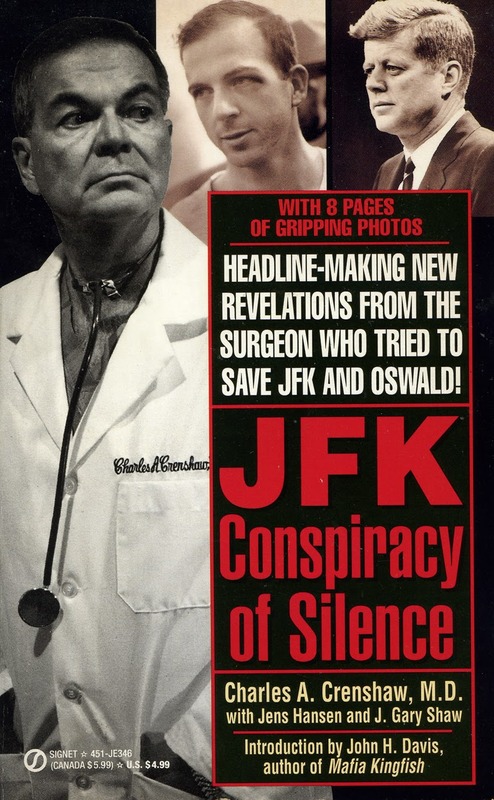 It has engendered a military, scientific, religious and popular culture response. 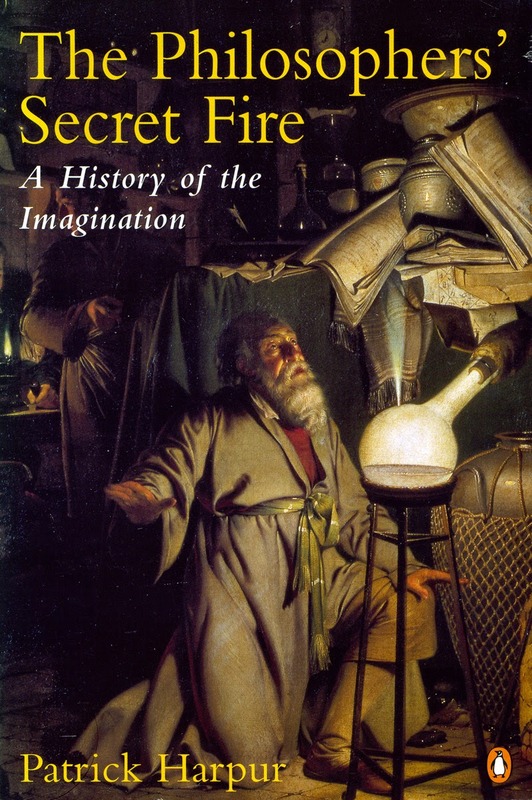 But first and foremost it has generated a world wide movement of private organizations and groups dedicated to investigating and documenting an unknown and intriguing phenomenon. 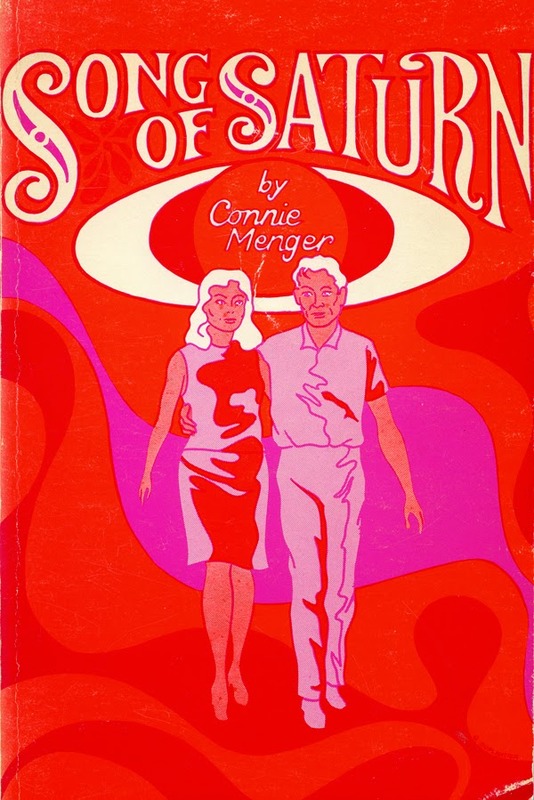 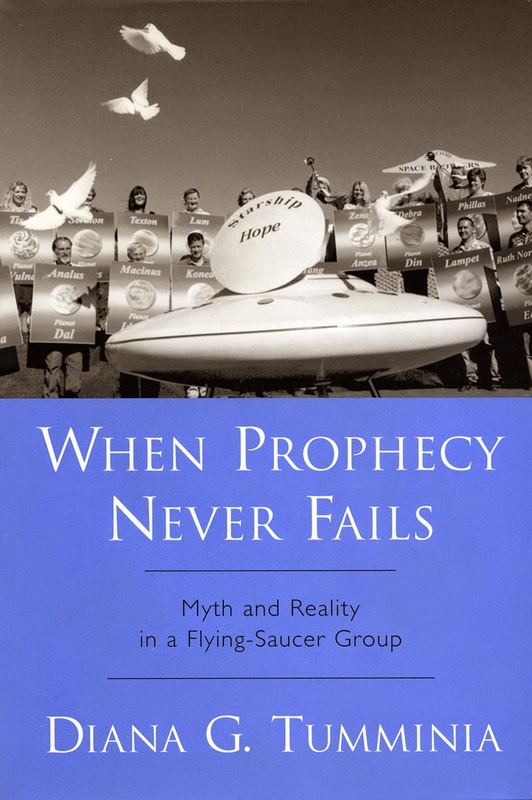 The history of the UFO movement and the ideas and activities of the diverse personalities involved is for me almost as fascinating as the phenomenon itself. 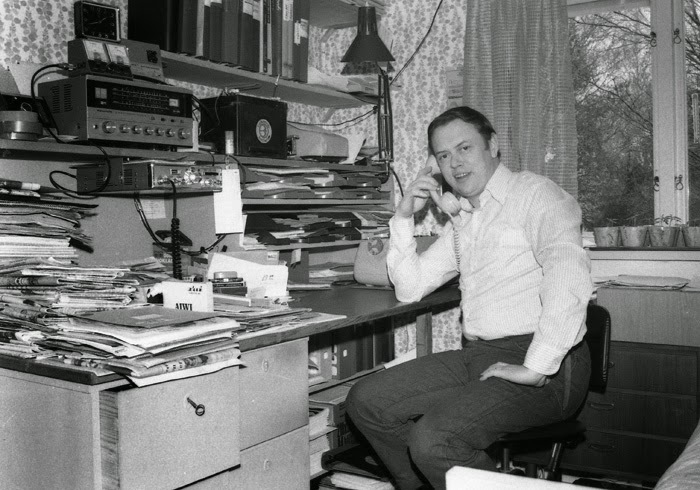 I have been a part of this heretic underground movement since a teenager so it has become sort of homebase. 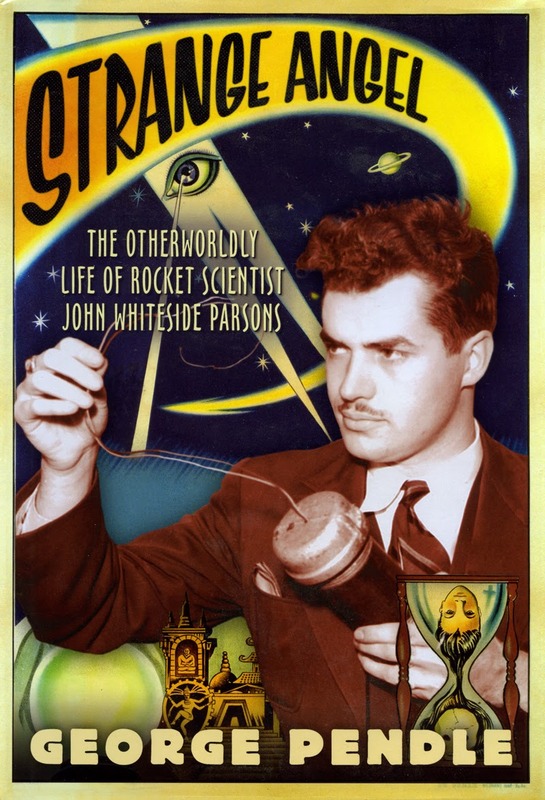 This has also made me aware of the importance of documenting the UFO movement for future generations and researchers. 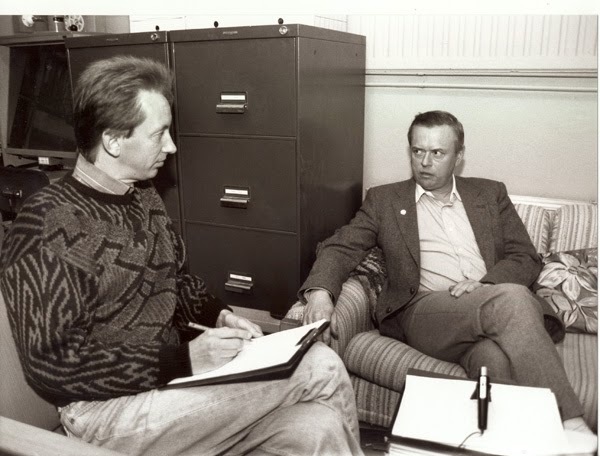 One of my activities at AFU is arranging the thousands of organizational documents and files from the Swedish UFO movement: annual reports, protocols, correspondence, historical records, clippings, photographs, audiovisual material etc. 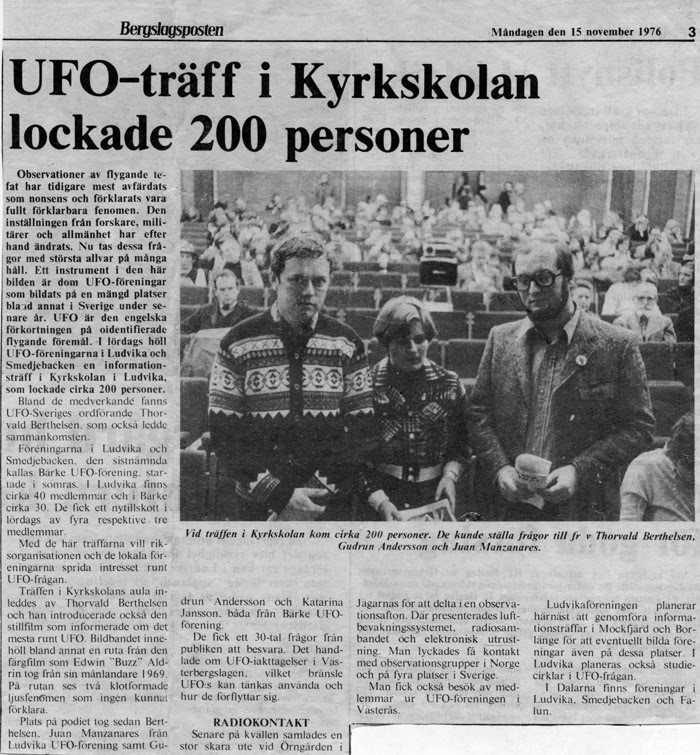 Since 1970 there has been some 130 local groups belonging to the national organization UFO-Sweden. The files of the local groups are now placed in separate binders and arranged according from what city the operated. 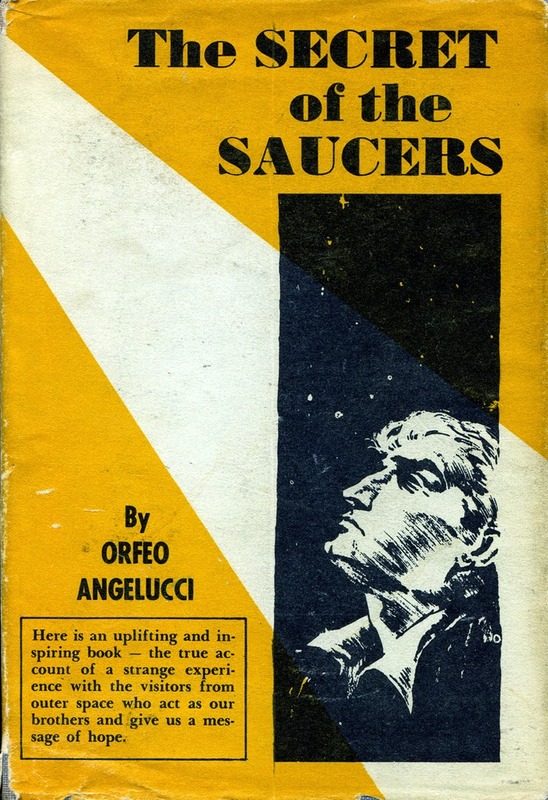 This is primary source documents of great value to historians, journalists and ufologists who wish to study the sociological aspect of ufology. My interest in the history of the UFO movement resulted in a monograph, published in 2010: En resa i tiden. UFO-Sveriges historia 1970-2010 (A Travel in Time. 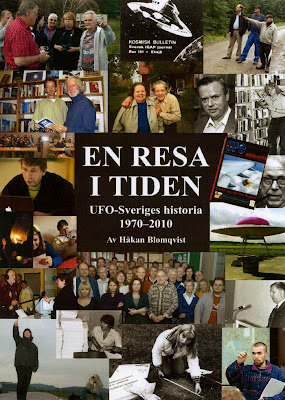 The History of UFO-Sweden 1970-2010). 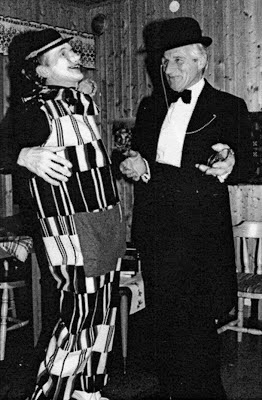 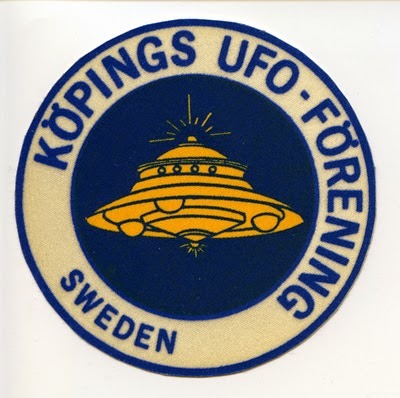 As I have stated in several blog entries the Swedish UFO movement was implemented by active members of the Swedish Theosophical Society (Adyar) in 1957-58. 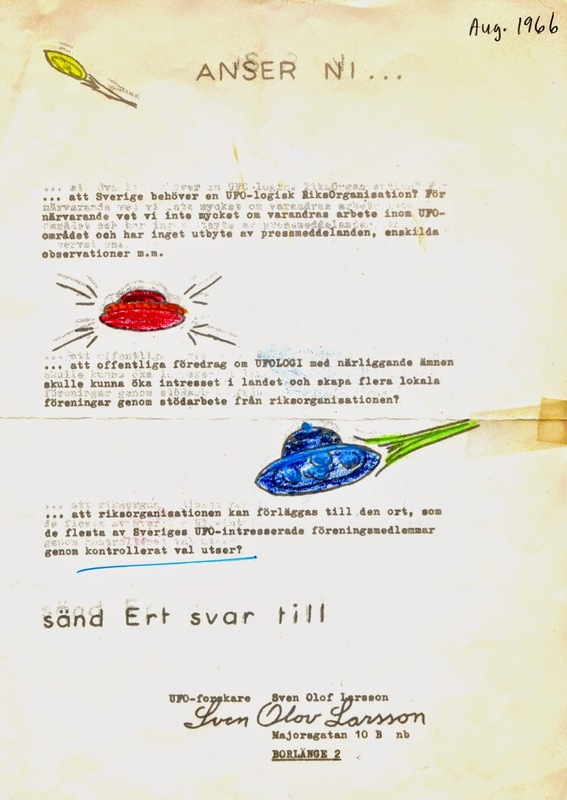 When the national organization UFO-Sweden was founded in 1970 it represented the first systematic attempt to investigate and document UFO experiences from a more critical and scientific viewpoint. 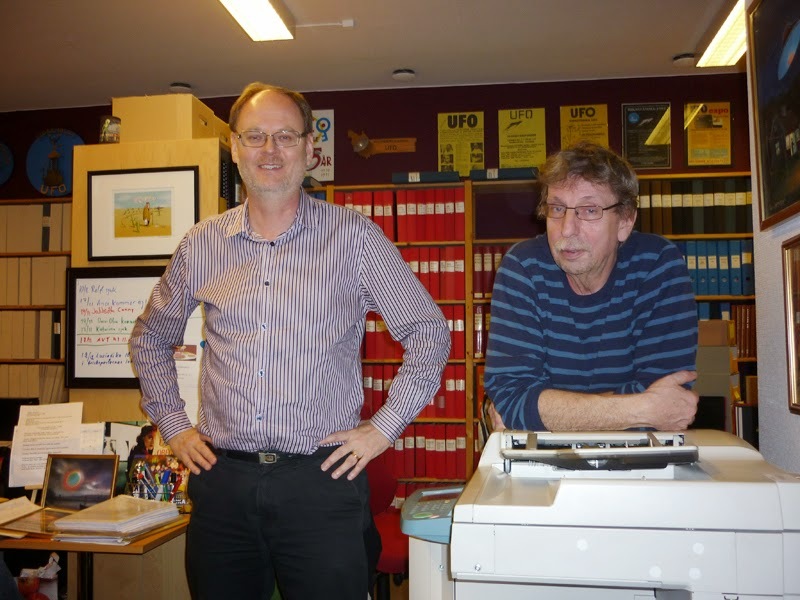 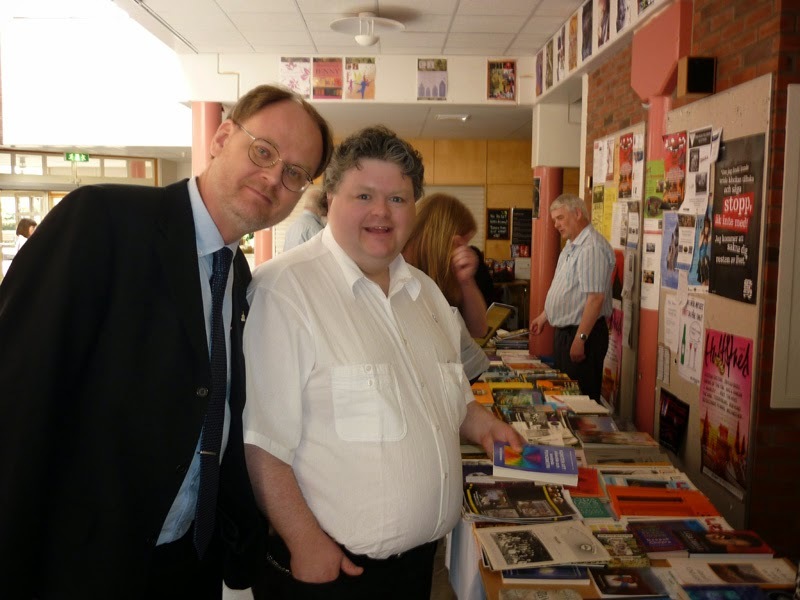 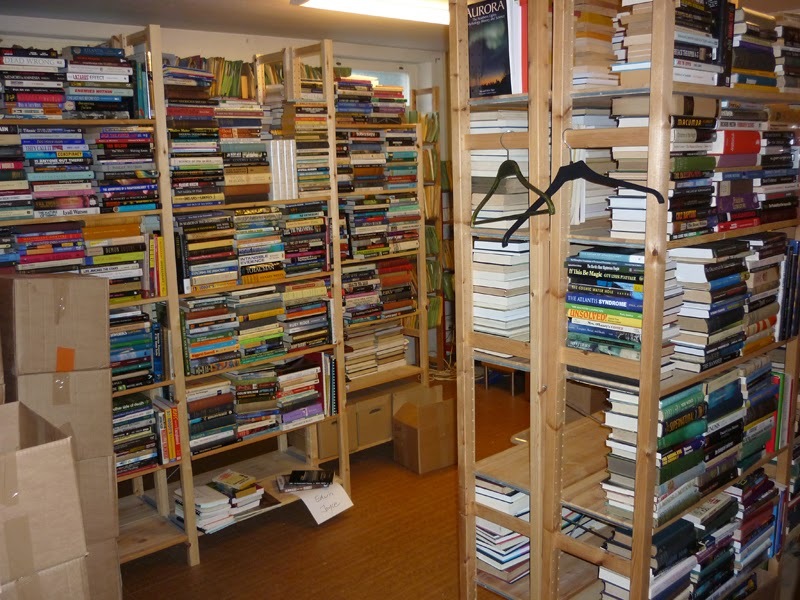 Since then UFO-Sweden has been the foremost UFO organization in Sweden working together with and in close partnership with Archives for the Unexplained (AFU). 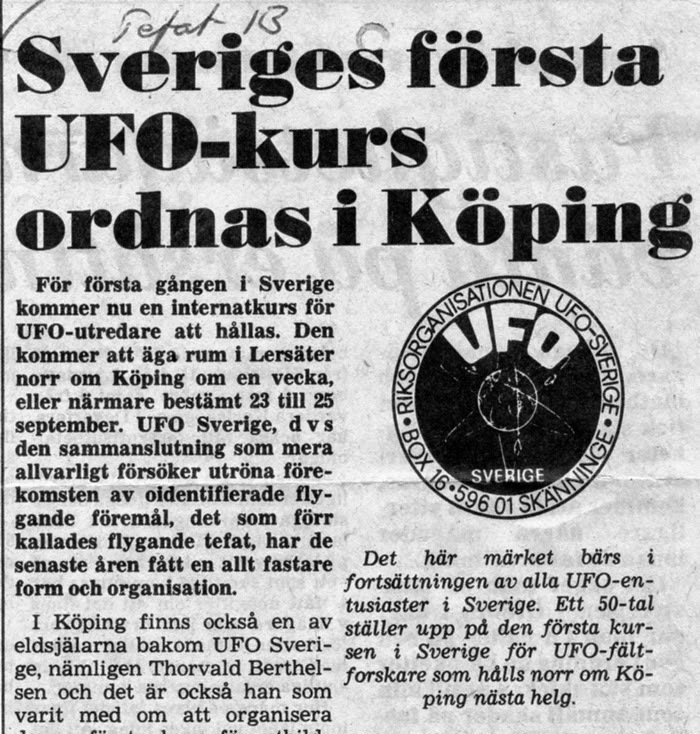 When I study the historical files and records of the various local UFO groups in Sweden I am often amazed at the large amount of social activities these groups arranged. 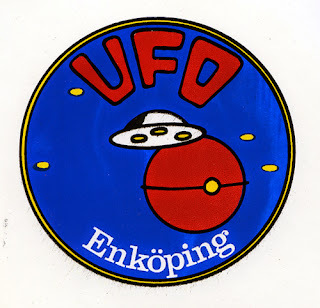 A good example is Enköpings UFO-förening (Enköping UFO Society), active between 1976-2010. 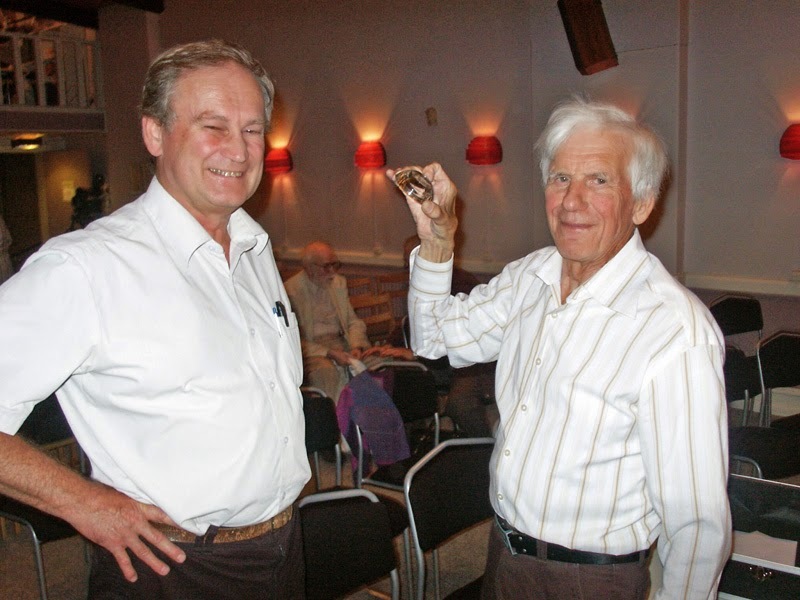 For many years they organized study circles, auctions, festivities, visits to interesting places and other local groups and most impressive, open house at the club house every Wednesday for more than thirty years. 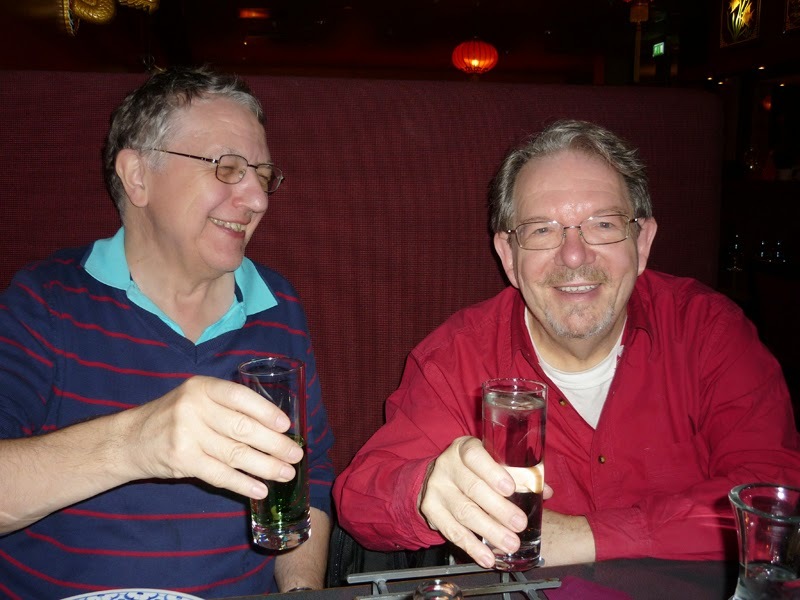 All this social activity for so many years both in local UFO groups and among the board of directors has of course established deep bonds and friendships among members. Several of the active members of UFO-Sweden have known each other since the 1970s. 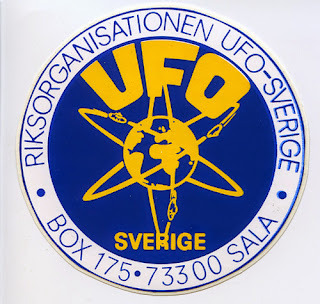 Traditions have been formed within the organization and oldtimers often mention that UFO-Sweden is like a family. 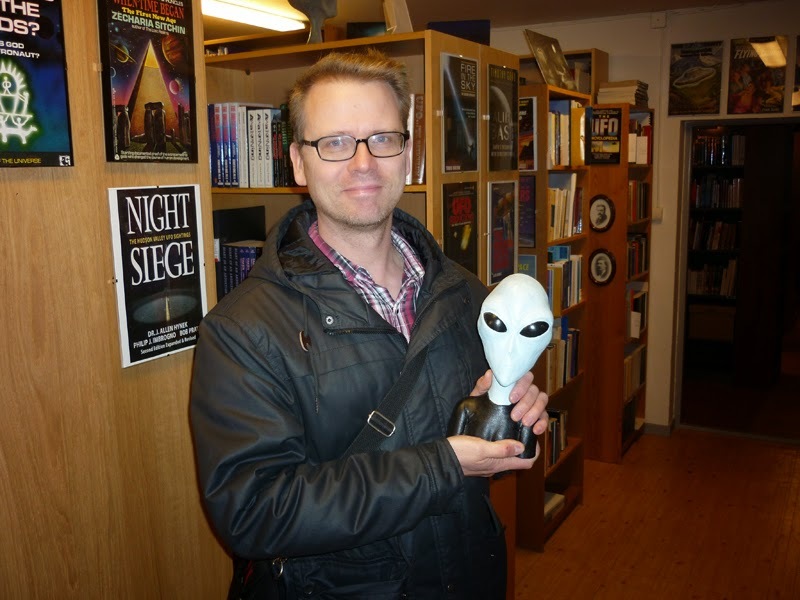 Perhaps this is a unique situation for the Swedish UFO movement. 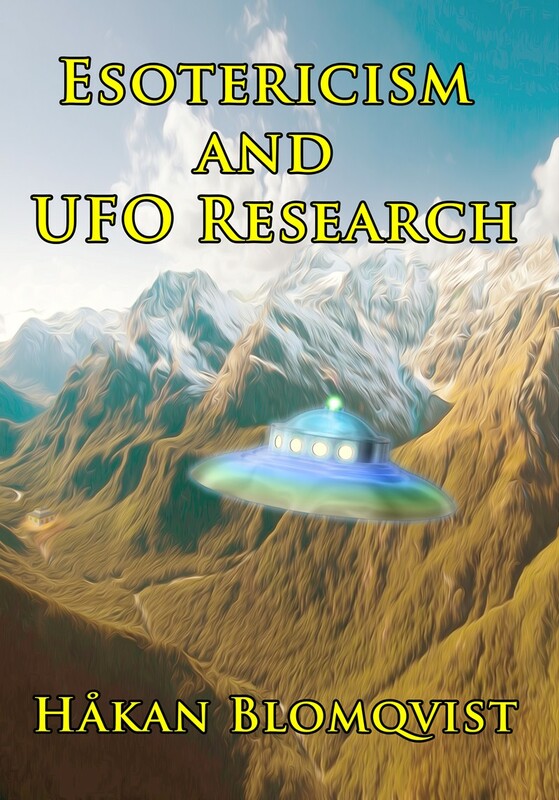 There is much talk about dissension and infighting from UFO organizations around the world. 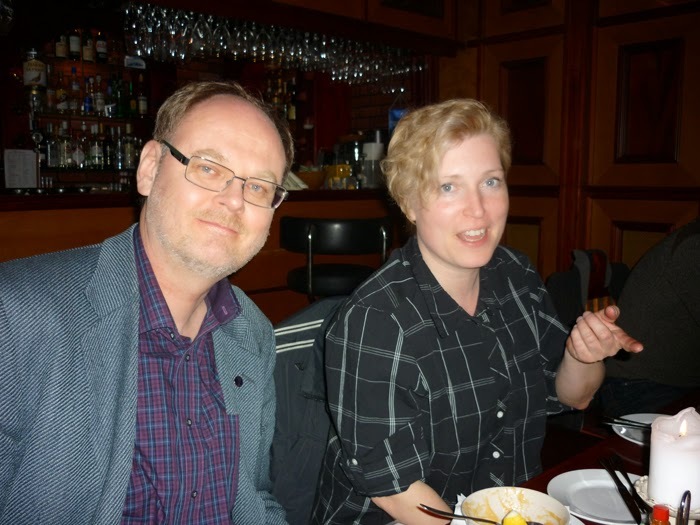 Of course there is intense debate and sometimes rather heated discussions also in UFO-Sweden but goodwill has prevailed and made the organization a secure and pleasant homebase for old and new members.